BOOK NOW for a SMASHING good time! Smash Room, LLC is a company started in 2018, established to provide an alternative to seeing an anger therapist or talking it out when you’re having a bad day. We’re firm believers that sometimes it’s better to just do what feels natural and lash out when you need to. What better place to do that then in a safe and secure environment without judgement, consequences or public humiliation? That’s where Smash Room Tampa/Lakeland comes in! 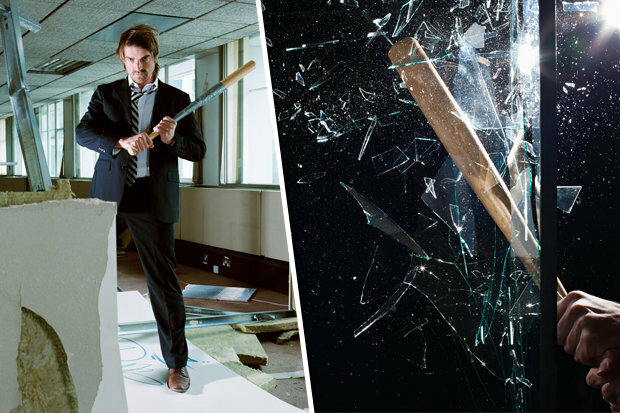 The Smash Room is a place where you can let your hair down, gear up, and destroy rooms that simulate an actual workplace, living area or kitchen. Complete with glass, mannequins, TVs, tables and many, many more breakable items. It might sound crazy at first, but we assure you once you’ve tried this method of stress relief, nothing else will compare. Let’s be honest, this is something you’ve wanted to do for a long time anyway! … With a few surprises along the way. We’ll take care of you, don’t worry about a thing. Come as a lone wolf, with a group of friends or coworkers, we’re a great location for corporate events, group outings, and birthday parties, or with a partner for the perfect date in Tampa and Lakeland. Come relieve your stress and don't worry about the clean-up - it's all taken care of! Anger doesn’t discriminate, we all get angry, we’re human. Why not finally do something you’ve dreamed of doing when you’re mad without paying the insane cost and severe consequences of your actions! We look forward to having you and having fun together! Tell your friends about one of the most fun things to do in Tampa. You are too blessed to be stressed! Find out about Smash Room, our mission, our methods. Guilt free venting for men and women.Ready to take the next step? Smash Room does not claim to be a mental help or medical facility, we do not treat, give diagnosis or provide medical therapy of any kind. We are classified as entertainment only, if you feel that you have any mental or medical issues that needs to be treated please see a licensed physician or obtain a referral. Thank You.